Add chicken, apple, banana, and half cup grapes and mix all. Horrible! I tried this recipe and it was very bad. The whole dish ended up in garbage. 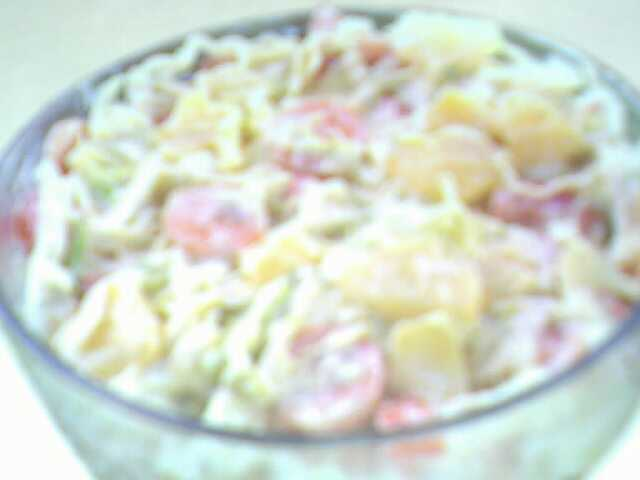 The texture of mayonnaise with fresh cream and then fruits with chicken was yuck. What a waste! I will definitely not be making this dish ever again. Thank you!